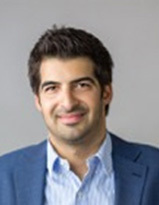 Dr. George Demetriades graduated with a law degree (LLB Law) from the University of Leicester in 2007. Later on, he joined the College of Law (Birmingham) for the Bar Vocational Course and received a call to the English Bar in autumn 2008, as a member of Lincoln’s Inn. Then he was accepted by the Institute of Advanced Legal Studies (University of London) for the MPhil/PhD programme under the supervision of Professor Barry Rider. He obtained the PhD Degree in October 2012 and the title of the thesis was ‘The Fiduciary Obligations of Banks to their Clients – An analysis of Old Law to New Circumstances’. Since 2011 he is a member of the Cyprus Bar Association. Dr. Demetriades’ paper ‘”Is the person who he claims to be?” old fashion due diligence may give the correct answer!’ published in Journal of Money Laundering Control has been awarded as a Highly Commended paper in the 2017 Emerald Literati Network Awards for Excellence.